THE SPARKLES — NO FRIEND OF MINE – IS YOUR CLAM IN A JAM? This is one of the songs that changed and contributed to my musical taste more than any other. Up until that point, I had been listening to a lot of punk and new wave, I mean sure I had The Velvets & Nico, but I never really thought that in the 60s people were making music with balls, and certainly there was no punk before the Ramones, cause, I mean they invented punk right? Well at least that’s the way I thought until until I bought the first Pebbles album, subtitled with the tag “Original 60s Punk and Psych Classics“, I listened to it the whole way through and, sure, I was digging what I heard, but it wasn’t until track number 16 came on that my mind was completely blown, it was indeed thanks to No Friend Of Mine by the Sparkles. I couldn’t believe what I was hearing! That hard as nails drum intro leading to that riff, accentuated by an organ. It reminded me of the bad guy in Filmation’s Ghostbusters that played that massive organ in a cathedral in the clouds circled by demons, add to that the growled vocals and the snotty lyrics about being an outcast, and you’ve got the recipe for one of the coolest songs ever made. 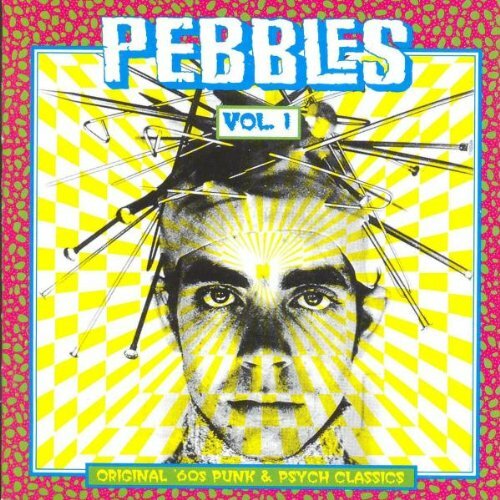 Needless to say, before I knew it I was hooked on garage punk, devoured all the Pebbles series in search for more music like this, eventually converting to its more psych current, thanks to another song, but that’s another story, for another Special Sundae. The Sparkles never released an album and released a couple of singles prior to and after No Friend Of Mine, but none of them, in my personal opinion can be compared. Give it a listen below, I hope it can do the same for you as it did for me all those years ago!